You can grow a truly Italian garden in your own backyard with these wonderful vegetable, herb and flower seeds - direct from Italy. Ever since I moved to New Jersey and had a large backyard for gardening, I have tried to raise my own vegetable garden every year. And most of the vegetables and herbs I grow are via the company "Seeds from Italy", a wonderful source for authentic Italian vegetable, fruit, herb and flower seeds. Thanks to Seeds from Italy, anyone in the United States can grow beautiful and exotic Italian produce for their home enjoyment, including heirloom tomatoes, rare salad greens, unique squash and zucchini, and so much more. It's a great resource for avid gardeners who want to try growing something different, and also lovers of Italian cuisine who want to grow some of the unique produce and herbs which are hard to find in most American markets. Here I'll share a little of my progress and success with Seeds from Italy as well as information on the company itself. 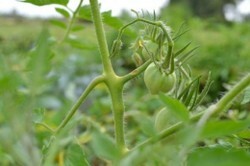 Image above: a young oxheart tomato on the vine. All photos on this page are by the author, sockii, unless provided by Amazon or Seeds from Italy. Do you keep a vegetable garden? Some years - if I have the time for it. I used to garden but don't any longer. I've thought about keeping a garden but never done it yet. I'm not really interested in gardening. Shopping at the supermarket is fine with me! Seeds from Italy is the exclusive mail-order distributor in the United States of Franchi Sementi, Italy's oldest and one of its most highest regarded seed companies. Franchi Sementi was founded in 1783, when Giovanni Franchi started selling his seeds in the market squares of Parma, Italy. The same family still owns and runs the company today, over 200 years later. Franchi Seeds' success is based upon their commitment to quality product and promoting the heritage of authentic, unaltered and non-genetically modified Italian seeds. Their seeds are primarily open-pollinated heirloom varieties, unique to their region of origin in Italy. Many are certified-organic seeds and the varieties available can be staggering - just take a look at some of the exotic varieties of zucchini, beans and tomatoes you can order! Bill McKay formed Seeds from Italy in 2001 to bring Franchi seeds to gardeners in the United States. You can order seeds via their in-print catalog or directly from their website, Grow Italian. A glimpse of my 2015 herb and greens garden, primarily featuring items grown from Seeds from Italy seeds. Some of these include: Arugula Ortolani, Basil Bolloso Napoletano, Bail Fine Nano Compatto a Palla, Rhubarb Chard, Misticanza Lettuce, and Parsley Giganti di Napoli. Another view of my 2015 side garden featuring Seeds from Italy plants. To the left is the Napoletano basi, which eventually had leaves almost as big as one's palm. The Rhubard Chard is growing nicely in a pot and ended up thriving well into the Autumn. In the small pots I have some tomato plants which have just been transplanted and moved outside. My total (with shipping) came to $49.00. I placed my order on March 6, 2012 and received confirmation that my seeds were shipped the very same day. Now, time to see how soon they arrive! My seeds already arrived! Now that's fast shipping! They all look so good from the packages. Now's the time to get at least some seedlings started. I'm using Jiffy trays to get them going early in the house. 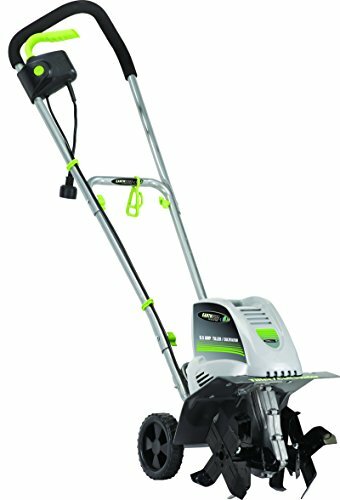 I have mixed success with these - sometimes they work great, other times I lose a lot of plants to mold. So I'm starting about 20-30 of each variety for this first round to see if they germinate and that the temperature/moisture conditions are all right. I also have some non-Italy seeds I'm starting at the same time for comparison purposes, which I'm setting up in another set of trays in a different room. Some of my seeds started 4 days ago are already starting to sprout! The lettuce greens, radicchio, arugula, radishes, cabbage and cauliflower are all starting to show some action. However, as I removed the Jiffy domes I could also see the beginnings of a little wispy mold on some of the pods as well. Time to leave them uncovered, open the window for a little fresh air, and a spritz of (very) dilute vinegar/water to kill off the mold and allow the seeds to flourish. Keeping fingers crossed this does the trick. I'm also going to start some more seeds today, my squash mix as well as some flower seeds. Almost all of my seeds I planted a week ago are sprouting and showing great results. The tomatoes just started peeking out yesterday, but already the radishes, lettuce greens, cauliflower, cabbage and radicchio are coming up. I'm still waiting on seeing action on the artichokes, but the package said they could take longer to germinate. With the good weather outside, I've got to start preparing my outdoor garden patch, and also decide what I'm going to eventually transplant into pots vs. into the ground directly. All of my Seeds from Italy are continuing to do well, along with my non-Italian seeds which I also have started. The artichoke seedlings are beginning to sprout, and the squash are getting big enough that I've already transplanted many of them into small pots to allow them to keep growing. The weather here in South Jersey has been unusually warm from March - in the 70s during the day for the past week! - however there is still a chance of frost, so I'm not moving any of the plants outside yet. However, I did begin weeding out my main garden plot to start getting the soil ready. Indeed, because of our extremely mild winter, I found that some of last year's parsley and chives have survived and are continuing to grow in the garden. I may transplant them out into pots. I also found, to my surprise, that the remnants of last summer's arugula had survived and bolted to seed. The flowers are actually quite lovely and I feel bad pulling them up. So I think I will transplant at least some to pots and hope I can collect some seeds from them, once done flowering. I've also decided I'm also going to order some raised garden bed kits from Gardener's Supply Company. That way I can get a lot more planting done outside. I even broke down and ordered another selection of seeds from Seeds of Italy - this time an assortment of herb seeds which I will grow in pots for easy use, and so I can bring them inside for the winter. The first crops are here! In mid-April I set up my raised garden beds and started moving the seedlings outside. Most of them took quite well to the transition as we had a nice warm spring and I was sure to keep everything watered daily. The only seeds I was really having trouble with were the artichokes - for some reason many of them sprouted but then I lost them all once I moved the plants outside. I'm not sure what went wrong; I will have to write them off for this year and try again next, it looks like. By mid-June the lettuce, radishes, purple beans and turnips I'd planted were all doing extremely well, and I was able to start harvesting them! So we were eating a lot of radish salads, purple bean salsas and pizza with wild arugula. I'd also planted some leftover turnip seeds from last year which grew great; young, tender turnips from the garden are so much tastier than those giant tough ones from the supermarket. San Marzano tomatoes ripening on the vine. It's the end of July and the tomatoes are just starting to come in ripe and delicious on a daily basis. The weather has been very dry this month, so it's been a delicate balancing act of watering them enough without over-watering them. Some of the oxhearts are splitting, but the San Marzano tomatoes are doing excellent and are as delicious this year as I remember from last year. I know I will need to learn how to can and preserve them for winter as soon there's going to be no way for me to keep up with them all. The dry, high heat of July has caused most of my salad greens to bolt to seed, alas. But, the bees and butterflies are enjoying their flowers so I'll leave them be and try to collect the seeds as well. While I've got a second crop of radishes started, I also left some in the ground to flower and they are producing heavy, full seed pods now. I'm enjoying the two varieties of basil I ordered from Seeds from Italy very much, and the other herbs are also growing well. The sunflowers are beginning to bloom along the fence line, small colorful heads of different varieties - a surprising change of pace from the classic giant sunflowers of American variety. The wild arugula is slow-growing but delicious; I need to get a second crop started and hope I have time for it to grow before it gets too late into the summer and fall. My sunflowers from Seeds from Italy in bloom, July 2012. Thanks for stopping by...would you be interested in trying Seeds From Italy yourself? Thank you Maritravel. The UK source for these seeds can be found at this website: http://www.seedsofitaly.com/ -- I will add a link to them in this article, thank you for raising that question! Yes, I'd love to try Seeds from Italy. I always bring some home after every trip, even to the extent of taking the seeds from a favourite fresh tomato and drying them in a tissue. Do they supply the UK would you know? Your garden is certainly a good advert for their seeds. These look lovely! I don't have much time to fight the wildlife (animals, birds and insects) so I have limited my garden to tomatoes. I usually buy little plants and they do rather well. But maybe one year I'll try seeds. This is something worth considering. Of course matching climate to seeds is a consideration.